Navy Federal Credit Union is the largest credit union in the country with more than 8 million members. It offers personal loans to its members, who are affiliated with the military or Department of Defense. Want to consolidate debts. Navy Federal offers low rates and high borrowing amounts for borrowers with good credit. Need to make home improvements. Its personal loans can be used to finance home renovations, repairs or other projects. Are a member of Navy Federal or meet its membership requirements, which are listed in the table below. Active duty members, reservists, veterans, retirees, and annuitants of the Army, Marine Corps, Navy, Air Force, and Coast Guard. Army and Air National Guard personnel. U.S. government employees assigned to DOD installations. Contractors assigned to DOD installations. Immediate family members of any of the above. Pre-qualify and receive a personalized rate from lenders that partner with NerdWallet. To review Navy Federal Credit Union, NerdWallet collected more than 30 data points from the lender, interviewed company executives and compared the lender with others that seek the same customer or offer a similar personal loan product. Loan terms and fees may vary by state. Credit unions such as Navy Federal cap interest rates at 18%, which makes loans for borrowers with bad credit potentially less expensive than one they’d get through an online lender, where rates top out at 36%. In addition to credit score and debt-to-income ratio, Navy Federal considers a borrower’s history with the credit union and current employment status. Navy Federal may also lend to borrowers with little or no credit history. Debt consolidation loans: Navy Federal’s loans are an option for debt consolidation, offering its members competitive rates and terms. Loans for home improvements: Navy Federal’s home improvement loans have extended term lengths of up to 15 years, with annual percentage rates between 15.09% and 18%. The minimum loan amount for terms of seven years is $25,000; to extend to 15 years, you’ll need to borrow at least $30,000. Hard credit pull: Unlike most online lenders, Navy Federal does not offer pre-qualification with soft credit checks. The lender conducts a hard credit pull on a loan application, which may result in a temporary ding to your credit score. Wells Fargo is one of the few large consumer banks to make personal loans. Loan amounts go up to $100,000, making them an option for borrowers looking to finance a home renovation or other costly projects. Banks are not subject to the same interest rate cap as credit unions. 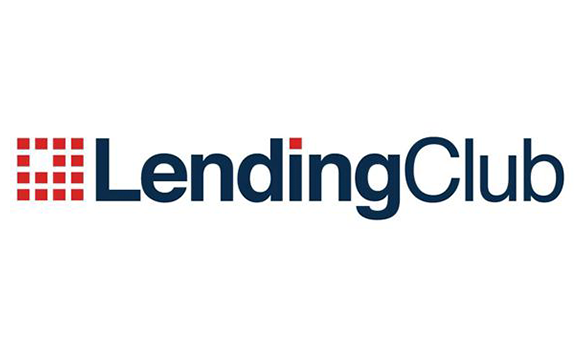 Online lenders like LendingClub are faster alternatives to financing than traditional banks; some can provide financing within hours or days. However, online lenders often lack the personal connection and history that borrowers may have with their credit unions, making it more difficult for those with poor credit to qualify. If you’re a Navy Federal member and you can withstand a temporary hit to your credit score, the credit union may offer a cheaper loan than online lenders. Loans specifically for debt consolidation or home improvement require an in-branch visit or phone call; otherwise, you can apply online. In any situation, NerdWallet recommends comparing loans from multiple lenders. Click the button below to pre-qualify and receive personalized rates from lenders that partner with NerdWallet.